Thanks to The Agency, I booked with Canon Camera, Genie Bra and Budweiser! Holly has joined The Agency! 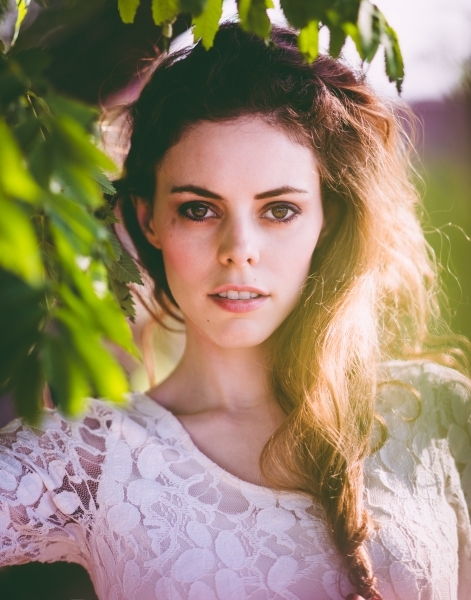 Holly Glasser is a bicoastal actress, model and musician in NYC and LA. She has modeled for Nike, Redken, Glaceau, Seychelles Shoes, and Deva Curl. You can spot her in Jessie J's music video "Masterpiece," and also Sufjan Steven's music video 'I'll Be Home For Christmas." Holly was also in many feature films and tv shows, including Teenage Ninja Turtles 2 as a school girl with Megan Fox, a featured bartender on ABC's medical drama Forever with Ioan Gruffudd, and in The Amazing Spiderman 2 next to Emma Stone. Holly has been featured in many magazines, including Vogue Italia, Beau Nu Magazine and Conscious Magazine. She is also a regular showroom shoe model for designer Bettye Muller. Holly speaks fluent Spanish and French, plays piano, guitar and ukulele, and also sings! She defines her self as a bohemian warrior princess and would love to play a fierce and feminine character like Arwen in Lord of the Rings.